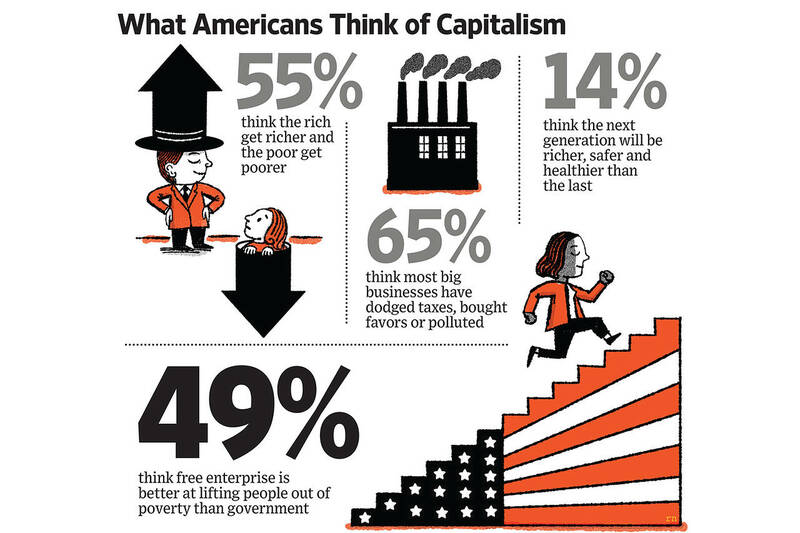 Has the World Lost Faith in Capitalism? These findings don’t mean that Americans are necessarily ready to give up on free enterprise. To paraphrase Winston Churchill, they think that capitalism is absolutely the worst economic system—except for all of the others that have been tried from time to time. Forty-nine percent still agree that free enterprise is the best system for lifting people out of poverty; only 18% disagree. And by 61% to 12%, Americans agree that unemployment is a bigger social problem than the existence of a “superrich” elite. Mr. Mackey wants businesses to focus on maximizing purpose as much as profit. He highlights how, for Southwest Airlines, the mission is to give more Americans the ability to see the world. That aim is communicated from the top to the bottom of the company. Google’s mission is to organize the world’s information so that it is universally accessible. 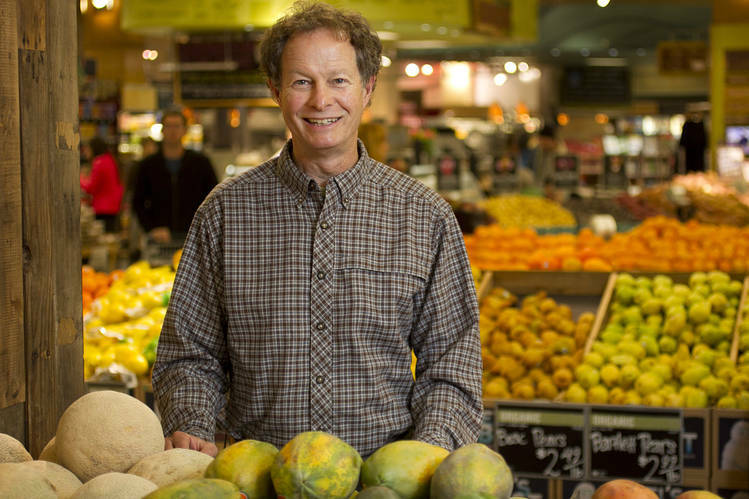 For his Whole Foods chain, it is about helping people lead longer, healthier lives through better food choices. Michael Gove, a minister in Britain’s Tory government who represents a different brand of politics from Prof. Stiglitz’s, has reached similar conclusions. He makes a distinction between the “deserving rich” who work hard and creatively, adding value to society, and an “undeserving rich” who feast on government interventions, rig rules and sit on each other’s remuneration committees. Banks are uppermost in the minds of most people when we think of crony capitalism. We remember how some banks quickly punished small-business people or private households when they fell into financial distress. But when those same banks and financial institutions got into trouble seven years ago, they were bailed out by the taxpayer, and a different set of rules seemed to apply. For today’s pessimism about capitalism to be overturned, people must think that the same rules apply to everyone. For capitalism to enjoy the public’s confidence, we need a system where the rich can get poorer as well as the poor richer. There must be snakes as well as ladders in the boardroom board game. Which capitalists are still popular? Another global survey conducted by YouGov seeks to identify the world’s most popular person each year. The winner for the past two years hasn’t been a celebrity or sports star. It hasn’t been Barack Obama or even the pope. It has been Bill Gates, the founder of Microsoft and a transformational philanthropist. Those who are determined to restore faith in capitalism won’t just champion figures like Bill Gates and John Mackey. They will be tough on the crony capitalists who cheat emissions regulators or fix financial markets. When capitalism is seen to be both fair and effective, it can be popular again. Mr. Montgomerie is a columnist for the Times of London and a senior fellow of the Legatum Institute, whose new report can be read at Prosperity-for-All.com. Posted on November 9, 2015, in Postings. Bookmark the permalink. 1 Comment.